We all know that young people are growing up in an era where new consumer products launch or are updated on a constant basis. With the launch of the iPhone 5 last week there will be millions of consumers desperate to get of their current phone contracts just so they can have the latest phone. In the current marketplace we see many good products relegated to the scrap heap every month just because the latest version is released. We can trace all of this back to the theory of the disposable razor. Traditionally a man would buy one high quality razor to shave their face every morning. The good blades would last a lifetime, which the manufacturer thought was bad for business. It was in the interest of the manufacturer to make blades that needed replacing so that people would have to buy more product. Thus the creation of the disposable razor blade; a company would make more money over the long term selling thousands of cheap items than selling one high quality razor. Fast forward through the years and we see that many products lowered their quality so that people would have to buy more products. Many products developed component parts that needed replacing so as to sell more products; before digital cameras Kodak made more money from selling film than they did by selling cameras. The disposable razor theory originally applied to low cost and low quality items. In recent years the disposable or replaceable concept has been getting more and more expensive. What do people do with their old mobile phone when they buy the new iPhone 5? When did a $700 phone become as disposable as a $2 razor blade? Young people today want the latest technology which is totally understandable. If I needed to buy a new phone or laptop then I would buy the best I could afford too. However, the rate of change in consumer products is creating a transient culture where young people move from product to product without much loyalty. Whilst the disposable razor theory was always about products it seems that it is now affecting organisations also. Sporting clubs find it harder to keep junior players for more than a few seasons. Scouting groups find it hard to attract young people because it asks for a weekly commitment rather than random participation. In the Church we too are affected by the transient culture emerging in young people. The Church is just one organisation dealing with the rate of change in our culture. Perhaps like some other organisations we have been caught out ‘selling’ the same products in a marketplace that wants change. If young people update their phone every two years, is it unreasonable to think that they expect some change in their church experience every two years? If the fashion and music scene changes every six months is it unreasonable to think that young people might expect the look and feel of their church experience to change every six months? I don’t think anybody ever thought that the disposable razor theory would ever apply to the Church, is it possible that this is what we are now seeing in youth and young adult ministries? Is it possible that young people are so used to the rate of change that they expect change all around them? So what should we do about this in our churches and ministries? If we look at Apple, they win the customer by changing the product. We can’t change the Gospel, but that is not the ‘product’ that we are selling. We are selling programs and activities in order to win people to Christ. A few camp options within the year from overnighters to week long camps. Have two to three options for high schoolers rather than one youth group for Year 7-12. Yes this is harder for the youth and young adult ministry but can we really bury our head in the sand and keep everything static? 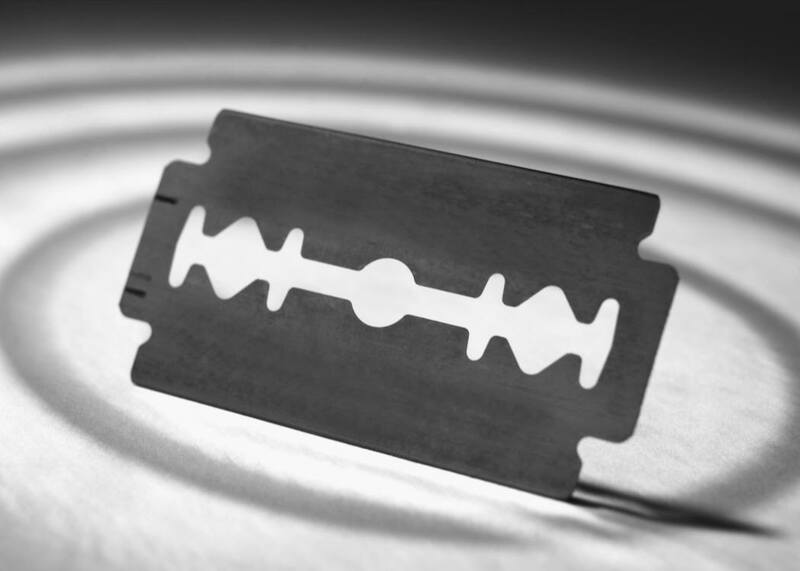 If we don’t make our programs the disposable razors the risk is that Jesus becomes the disposable razor and young people move onto another spirituality. We can keep doing what we have always been doing or we can decide to work with young people as they are developing. My hope is that together we can improve our ministry to youth and young adult to see more ‘customers’ being won to Christ. If Apple are able to keep winning loyal customers then surely we need to as well, perhaps we need to be a bit more thoughtful in how we can win loyal followers of Christ. Is your ministry getting ready for Christmas? I reckon you are spot on!! Even the trendiest and latest success needs to change… as demonstrated by the iPhone… Apple don’t wait for us to be sick of it before they make changes. If we wait for things in our ministry to ‘stop working’ we might have left it too late… That’s my experience! Thanks for the comment. I think your point about ‘stop working’ is very true, many people wait until things stop working before they even think about planning ahead. So if things aren’t working and then you start planning it is already too late. The best ministries are thinking “what is next?” all the time, especially when things are going well.